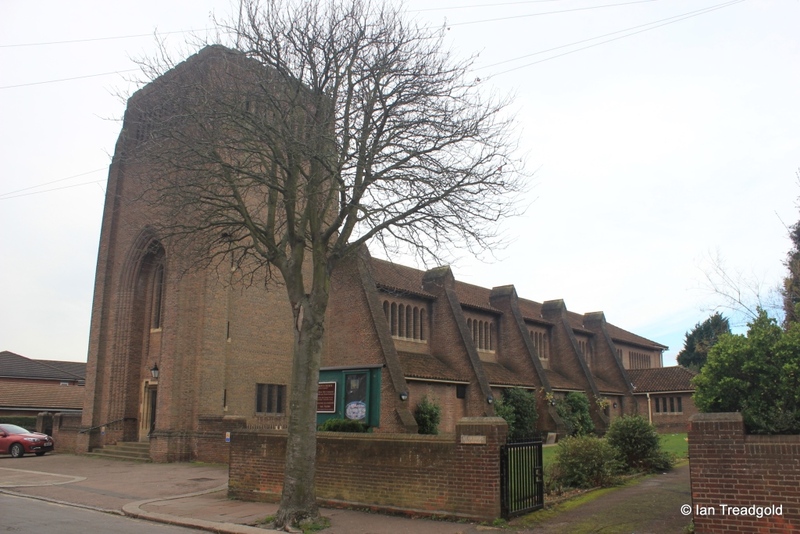 The church of St Andrew, Luton is situated on the north side of Blenheim Crescent to the north of the centre of Luton and some quarter of a mile to the west of Wardown Park. 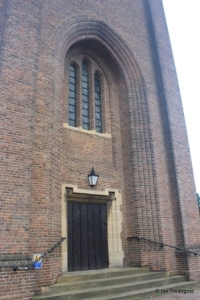 There is a small forecourt to the church for parking otherwise parking is on the street. 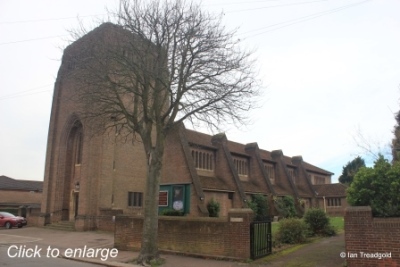 One of several churches built around Luton as it grew, the present St Andrew replaced earlier temporary buildings in the area. 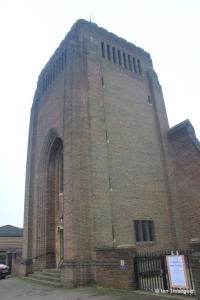 The church was designed by Giles Gilbert Scott in 1927 and reflects Scott’s style from other buildings, notably Liverpool Cathedral. 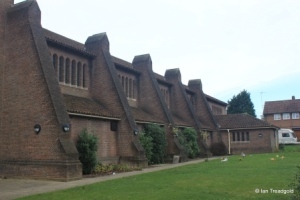 The church was consecrated in 1932, becoming a parish church the following year. 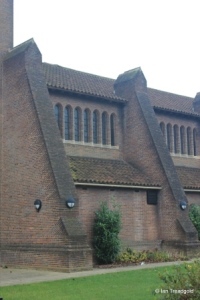 Built of brick, the church is dominated by its massive tower which because of the alignment of the building is technically the south-east tower as the main axis of the nave runs from south-east to north-west. 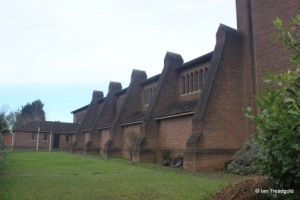 The nave is divided into four bays by the large sloping buttresses with each bay having clerestory windows of eight single lancet lights. The chancel is lit by similar high windows. To the north-east there is a Lady Chapel and on the south-west side, a vestry both in the same style as the main church.